Photo and article published by Al Fanar on Oct. 25, 2013. Qatar has spent more than a decade trying to improve its schools. But students are still scoring extremely low on tests and after they graduate from secondary school many are spending years in bridge programs before they can enter university. Sudden switches in policies appear to be part of the problem. In 2001, Qatar commissioned the nonprofit research organization RAND to examine the country’s education system and devise reforms. Among the options RAND offered, Qatar chose a charter-school model, decentralizing the country’s education bureaucracy and creating some 170 independent schools. These schools were placed under the separate governance of a Supreme Education Council and the first of them opened in 2004. RAND had hoped to improve what it called the country’s “outmoded” and “unchallenging” curriculum, which emphasized rote-memorization. The independent-school model was supposed to offer first-class education based on a more comprehensive curriculum and internationally benchmarked standards. Students would take national standardized tests every year. Report cards for schools would measure educational quality. But 12 years later, many say Qatar’s education reform has failed. The peninsula was the fifth worst scoring country in the 2009 Program for International Student Assessment (PISA) tests. In July the Supreme Council reported that more than 7,300 students, or 12.3 percent, in grades four to 11 at independent schools had failed their preparatory and secondary exams. Parents and students have frequently voiced their displeasure with the country’s schools. Among the common complaints: There aren’t enough qualified instructors and, in particular, not enough Qatari men; teachers also don’t know how to discipline unruly students. The quality of education at independent schools, parents say, lags behind international and private schools. Qatar seems ready to distance itself from the RAND-inspired reforms. Qatar Foundation will not to renew its contract with the RAND-Qatar Policy Institute past December, Doha News has reported. Sources on the council said that national exams have been suspended following July’s disastrous results. The council is also now looking at education in countries beyond Britain and America for inspiration, such as Japan, Korea and the Netherlands. But some education experts say RAND is not to blame as Qatari officials just didn’t give the reforms time to work. Council sources acknowledged that school reforms typically take 15-20 years and officials had expected too much too soon and had made too many knee-jerk changes. But two weeks before the start of the academic school year, Said reported, the school got a letter saying that grade 11 should also study in English. Many students’ English was not up to speed and their parents pulled them out of the school. In fact, language of instruction has been a major source of contention in Qatar. As part of the reform process, independent schools were instructed to teach science and math in English. But many teachers had limited English proficiency and were unprepared to teach complicated subjects in a language other than Arabic. Said, now a professor in the engineering technology department at the College of the North Atlantic-Qatar, published a 2013 paper about reform and science and mathematics education. He found that the number of students enrolling in science and math programs at Qatar University has been steadily declining over the past decade and the university has even suspended some of its science programs as a result of declining interest from students. Teachers in independent schools who were surveyed estimated that less than 20 percent of students are interested in taking advanced math and science classes. Students’ science and math test scores are poor, too. The Supreme Education Council issued a report for 2011-12 that found that less than 10 percent of most grades meet math standards. For science, only 30 percent of fourth graders meet curriculum standards. In most other grades, less than 10 or 20 percent of students do. One reason for the declining interest in science and math, Said’s report said, is that too many teachers rely on textbooks and lectures. Very few carry out hands-on experiments or demonstrations with students, even though they have the equipment. Once as a consultant he was supposed to organize a school’s laboratory. He said he found dusty equipment and boxes that had not been opened for 10 years. Teachers are under pressure to finish a long curriculum and are afraid if they don’t cover the material their students won’t perform well, he said. The teachers focus on the requirements of the national tests. In turn, many students trying to master the material also opt for memorization rather than a deeper understanding. Some observers believe science and math education will improve now that the Supreme Education Council has decided to switch much instruction back to Arabic. The move was prompted in part by fierce local criticism that Qatar was losing its culture. Independent schools went back to teaching science and math in Arabic in September 2012, with the exception of a course in which students learn some science-based English terminology. “Scientific English” has already been causing headaches, according to one SEC official, because English-department instructors who are expected to teach the class do not completely understand the scientific terminology. Said said he wasn’t in favor of this change as it would only create more confusion for schools and students who were just beginning to get better at English. Students who have concentrated on mastering science in English will now be at a disadvantage, he said. Other education leaders expressed concern that de-emphasizing English would hurt students’ chances of getting accepted into international universities. It may also create greater inequality between students who attend expensive international schools and students who go to independent schools, they say. “We’re still getting students who were in the old system who went to high school in English. They typically have an advantage,” said Todd Kent, the assistant dean for academic affairs at Texas A&M University at Qatar, one of six American universities at Doha’s Education City campus. That doesn’t mean that the students in the new high school system can’t make it, he said, but they may need a little extra training. 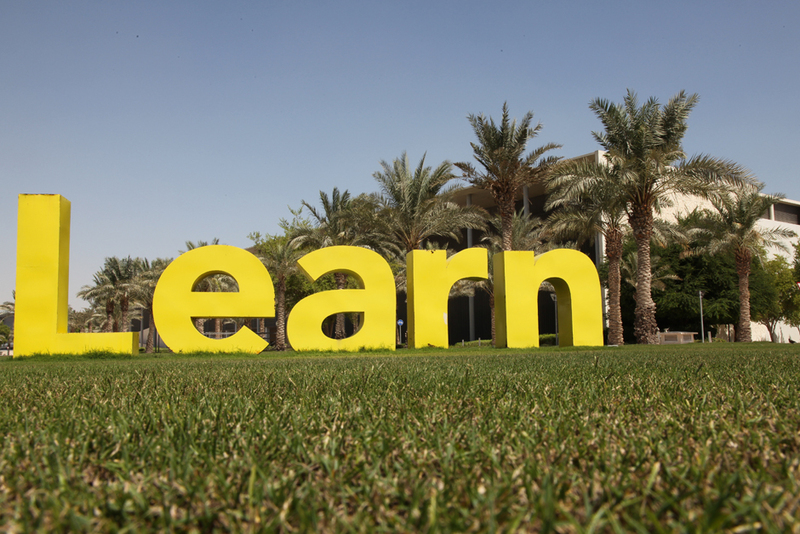 It remains to be seen, he said, if the change will hurt enrollment at Education City universities, where English is the dominant language of instruction. The change in the teaching language in independent schools coincided with a government ruling that Qatar University should also teach predominantly in Arabic. Now humanities, social sciences, education and law at Qatar University are taught in Arabic. Sciences, engineering, pharmacy and sports sciences, however, are still taught in English. At the time of the decree, Qatar University was criticized by many who said it was putting its students at a disadvantage. But a Qatar University spokesperson said this is not the case: Learning English is still stressed for all students. Though taught primarily in Arabic, the university’s law, business, mass communication and international-affairs programs still have English components. Third and fourth-year business students use textbooks, for example, that are written in English and are expected to write some English papers. Also, all students must complete six hours of English courses in their first two terms. Most graduate programs are also taught in English. Qatar University has also pared down its foundation program. Prior to the change, the program was a requirement for most disciplines of study and students would remain in the program until they achieved high-enough scores on international standardized English and math tests. Often it took students multiple years to complete the program. Now, the foundation program is only required for students majoring in fields that are taught mainly in English and lasts only one year. Said said that, despite his lack of appreciation for the council’s abrupt changes, a focus on Arabic language should not hurt high school students’ academic prospects, at least theoretically. But in practice, students from Arabic-focused schools seem to lag behind. He said that in the English-language diploma program at the College of the North Atlantic-Qatar, students from Pakistani and Indian schools are generally better at English and, as a result, they graduate on time. Students from Arabic schools, however, often have to study for an extra term. Noor Khalifa Al-Tamimi, a sophomore at Northwestern University in Qatar, said that although her independent high school was supposed to teach most classes in English, her teachers weren’t fluent so Arabic was used more often. The experience essentially forced her to go through Qatar Foundation’s pre-university Academic Bridge Program before finally being accepted into Northwestern. “I don’t remember how bad my English was when I graduated high school but I remember being the best one among my friends–they barely spoke English,” she said in an e-mail. Her teachers didn’t focus on English until it was time for the national exam, when she was given a list of the words that might appear on the test. “I felt a bit betrayed,” she said. Now that Arabic is once again the primary language for independent schools, education leaders say the government must make additional adjustments. “If the decision is to have our high school education in Arabic, fine, this is great,” said Ibrahim Al-Naimi, the president of the Community College of Qatar, in an interview last year. “But we can do an enhancement program for our students in the afternoon or evening, for grades 10, 11 and 12, so they can go to colleges with more ease.” Students, he said, often have to go into a bridge program for two years and sometimes even after that they have to study abroad in another English program. So they can lose three years of their life making up for what the schools did not teach them, he added. Likewise, a 2013 Booz & Co. report titled, “Listening to Students’ Voices” states “engaging students is an effective policy tool” and that students want to be involved in education reform. Only six percent of respondents surveyed in Qatar said they thought students had influence on education reform. Possibly as a result of these feelings of “disenfranchisement,” some 21 percent of those surveyed in Qatar said they distrust their country’s education leadership. Both teachers and students are clear that they want to be included in the next generation of education reform.